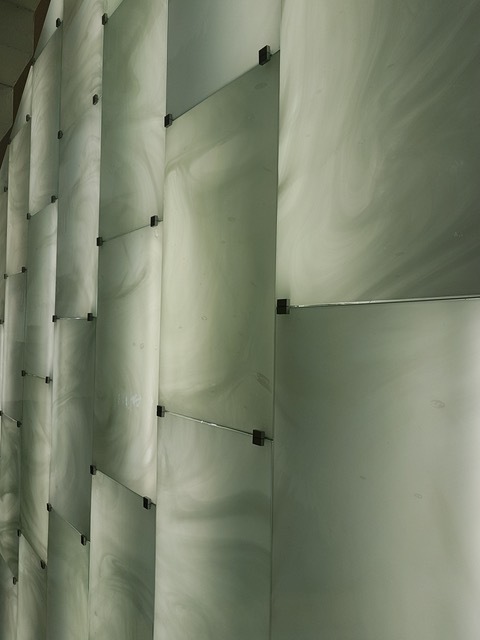 The Biomedicum’s design can justifiably be described as a masterpiece of modern architecture. Directly linked with the Karolinska Campus, the new building fits in perfectly with the overall look of the university complex. Designed by the distinguished Scandinavian team of architects under C.F. 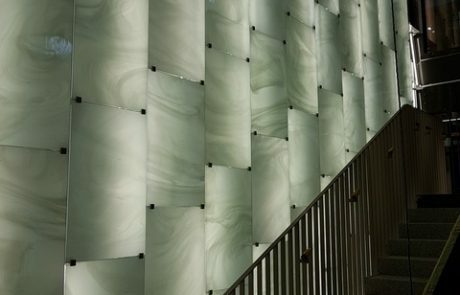 Møller, a building was created in which a great many high-quality glass elements were required inside. 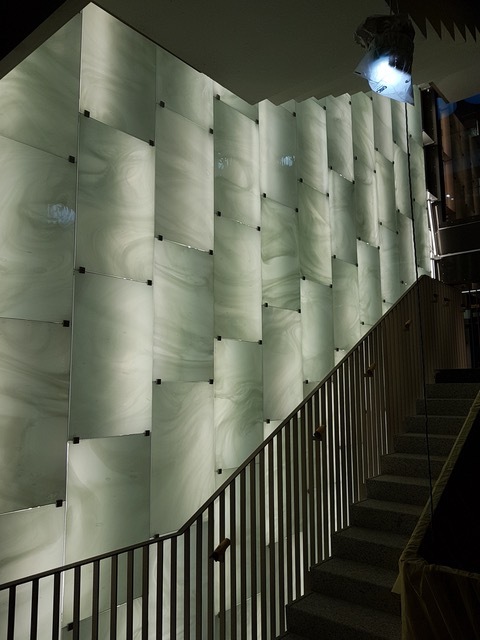 To match the overall appearance of the stairs and stairways in the building, the walls were intended to be decorated with illuminated glass elements. 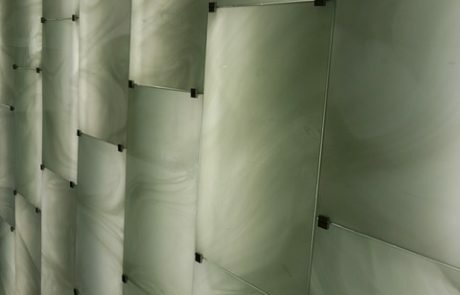 This was a challenge our Derix Glasstudios were happy to accept. 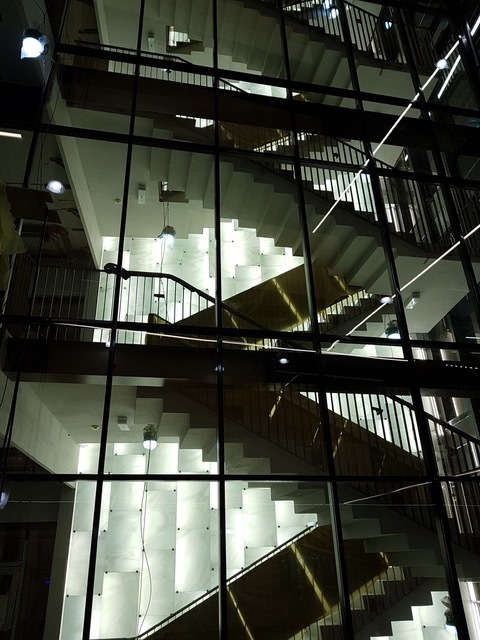 The Biomedicum is not simply another building on the large campus of the Karolinska Institute, but rather an element that completely fits in with the university surroundings with a great deal of charming architecture on both its interior and exterior. 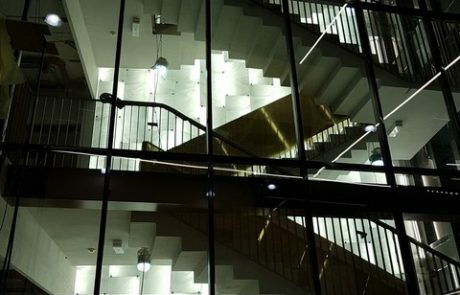 As part of the construction project, our team was given the assignment to create the wall covering for altogether four stairwells extending over eight to nine floors. 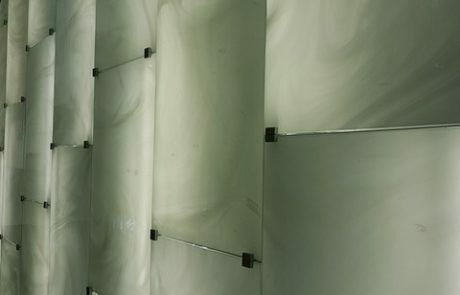 For this we used high-quality Lambertsglas® laminated on ESG panes. 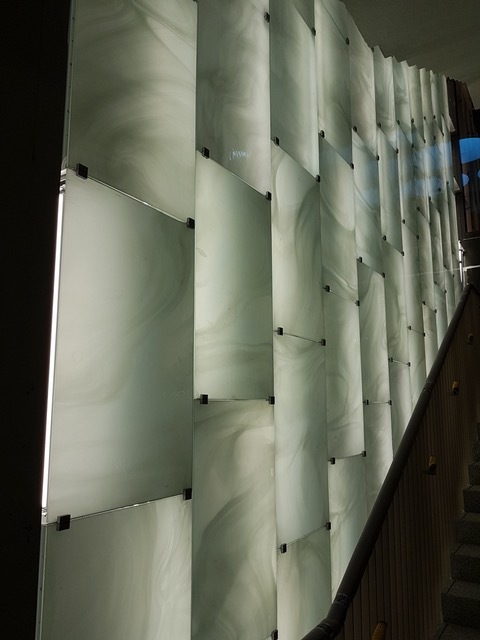 Our aim was to cover the total area of approximately 1,000 square metres with 2,000 individual glass elements, which were then backlit with specially produced dual luminaires. 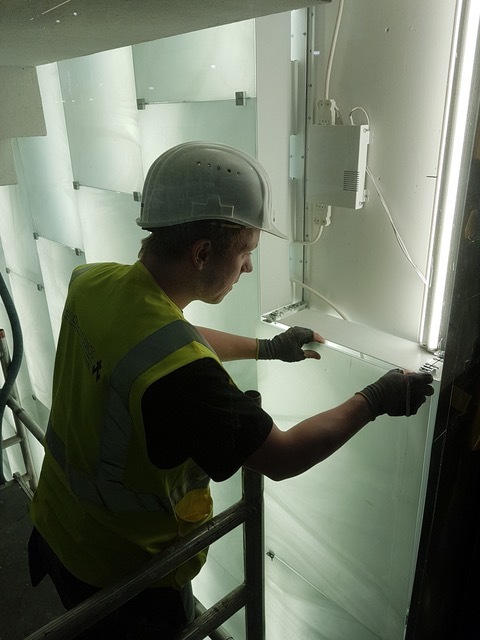 As such, we had to not only cut and laminate the glass but also plan, construct and produce the appropriate construction with its holder and lighting. 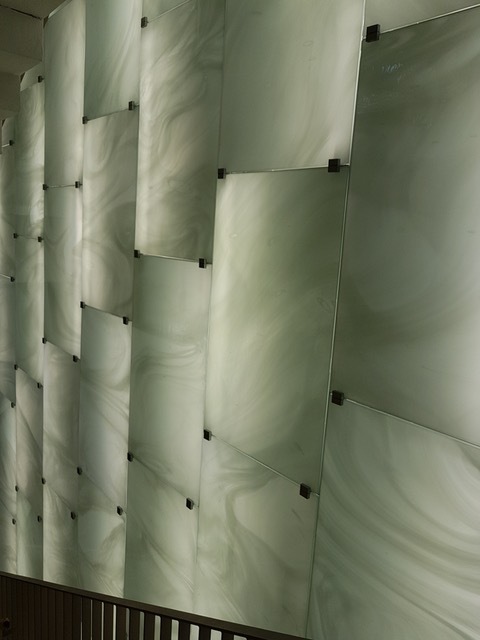 We carried this out in cooperation with Arne Fiedler Lightsolutions, a company based in Walluf, Hesse. 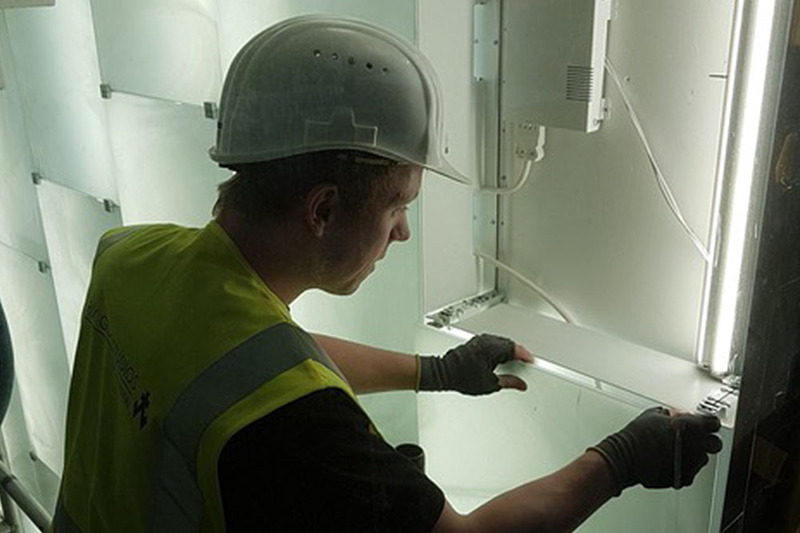 With our positive pre-planning, modern technical expertise and a skilled team on site, we ultimately managed to execute the project with perfect results overall and precisely at the scheduled completion date. Big jobs need time – and plenty of craftsmanship. 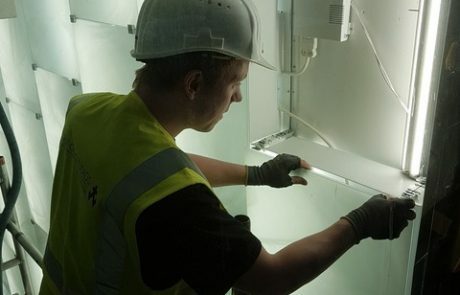 This meant our staff worked for a total of almost two months on site and took responsibility for correctly installing the relevant glass parts. In July 2017 we were able to complete the work successfully and were as glad as we were grateful to have been involved in one of the most exciting construction projects in Stockholm in recent years. 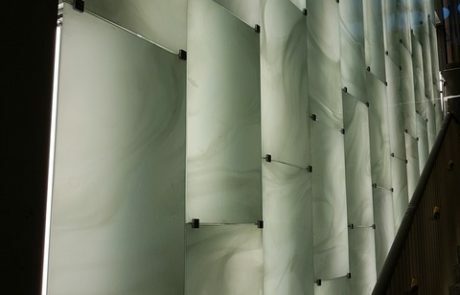 After all, it is a rather special assignment to carry out glass work in an architecturally impressive building, which will in future be used as a research facility for one of the largest and most respected medical universities in Europe.